When a campfire isn't in your near future, these three ingredient s'mores cookies from Spoonful of Flour will satisfy your craving for this outdoor treat. 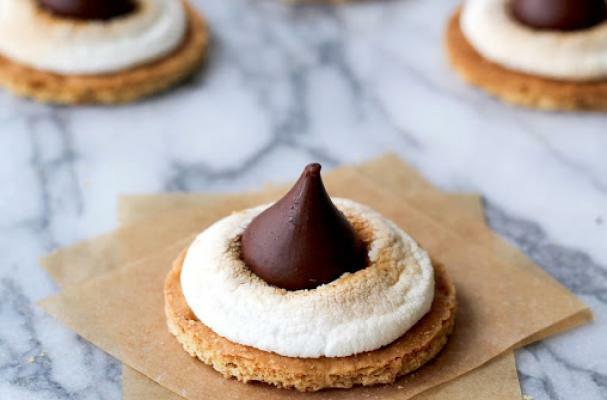 Store-bought graham crackers are cut into circles and topped with a toasted marshmallow and chocolate kiss. This is a fun and easy dessert to make with kids, especially if they are having a sleepover. For full recipe instructions, click here.